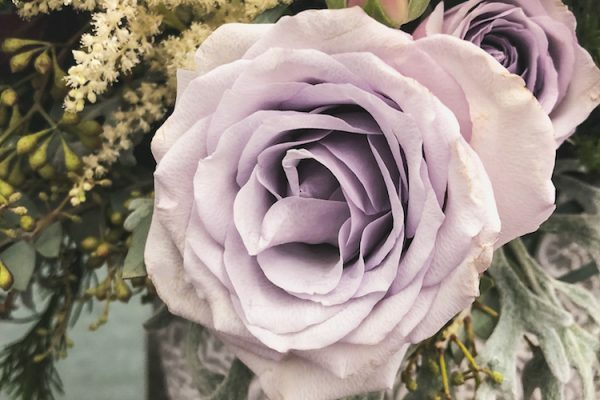 This week’s recipe is full of layers of lovely lavender sure to melt away your winter blues. 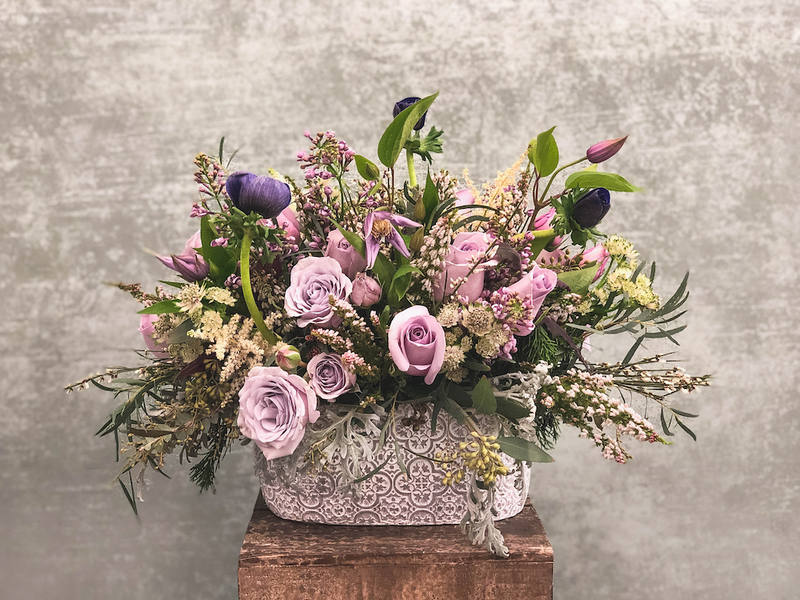 A bedding of silver greenery; lacey dusty miller (26967), feather willow eucalyptus (G1043), knifeblade acacia (G1203), and seeded eucalyptus (G1158) intermingle with the rich tones of sumac (39503), blueberry cedar (G1622), and purple passion vine (B3201) to provide the perfect back drop. 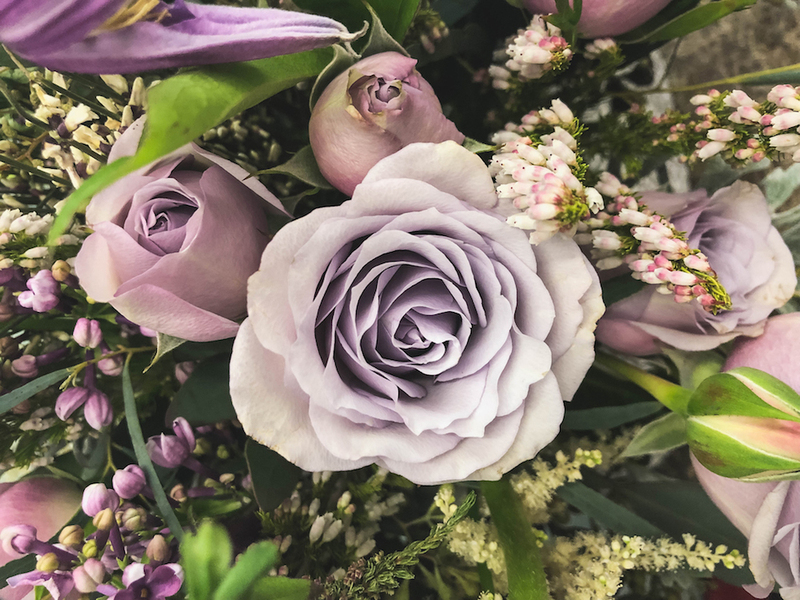 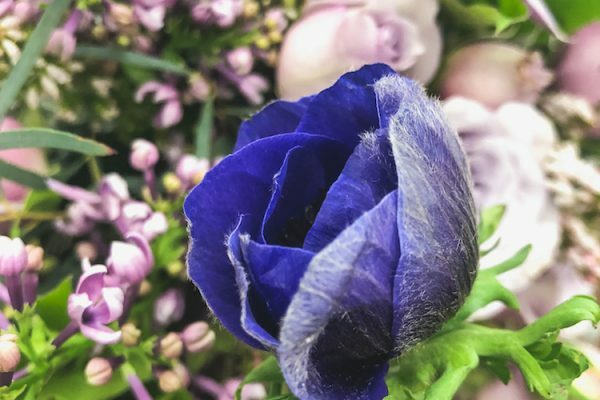 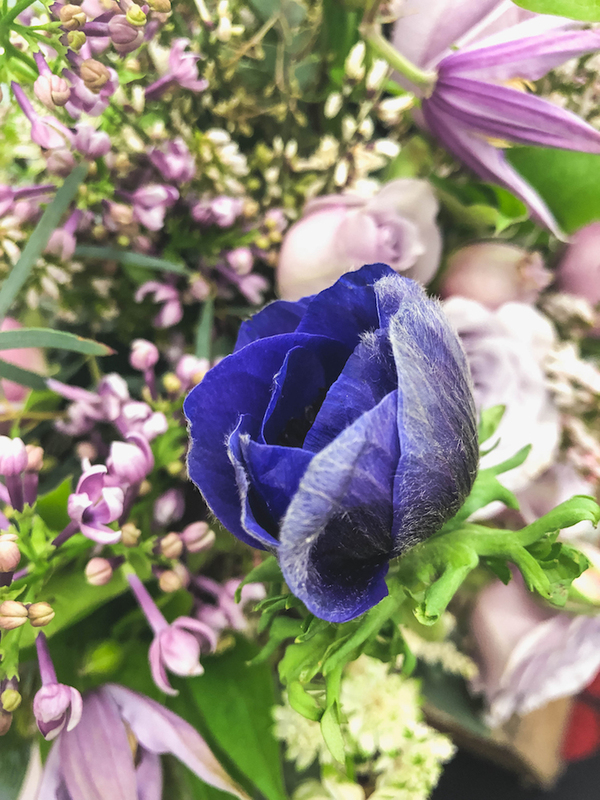 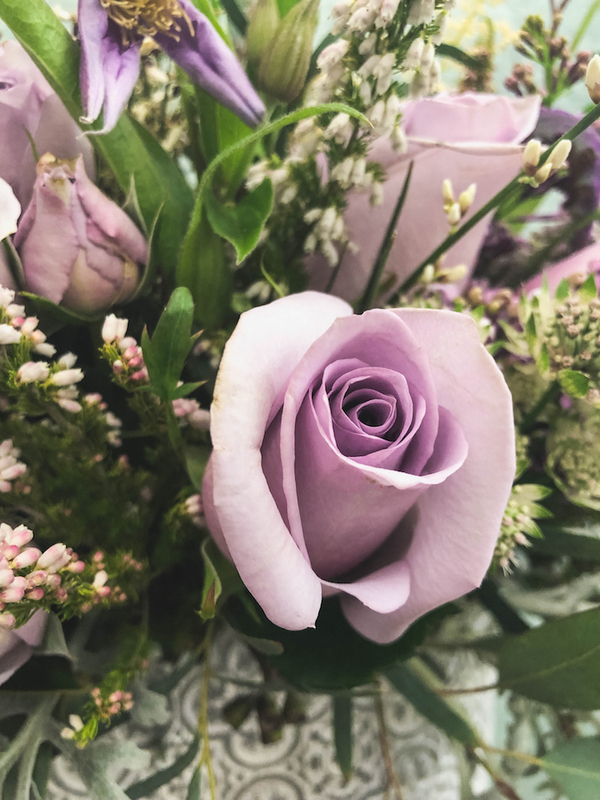 Playful hues of blue Manhattan roses (40898) and silver Mikado spray roses (64145) mix with lavender clematis (40302), lavender lilac (22097), and blue anemone (49931) grab your attention and provide layers of color. 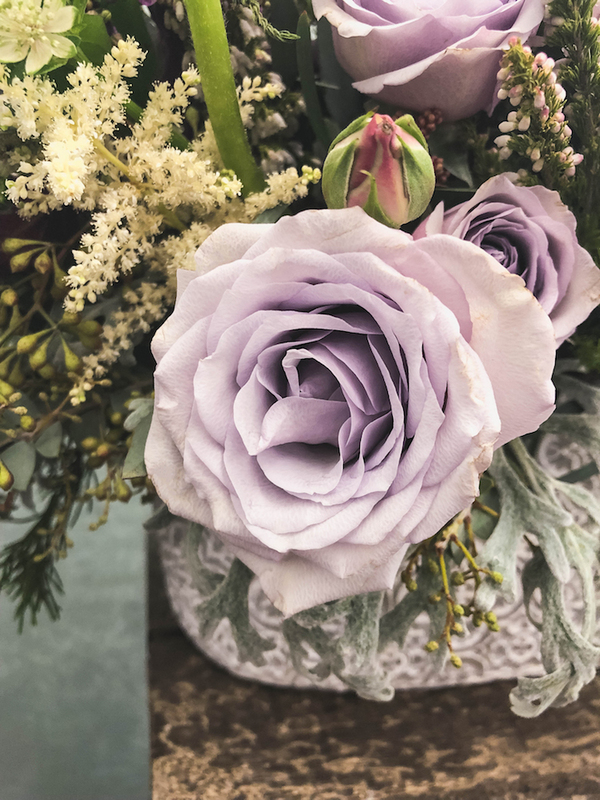 To add a highlight; white astilbe (47861), white heather (35589), white astrantia (47656), and white ginestra lighten the mood. 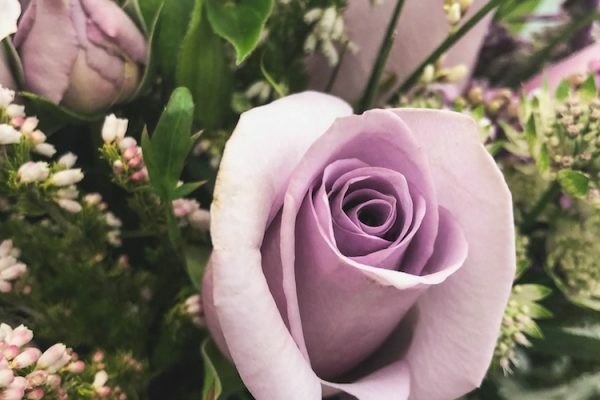 As the end of January nears we can’t help but let these layers of lavender melt away our winter blues.